« Quilts of Valor-UK: Delivered! It’s going to be a lovely day! The sun is shining, and although we had a light snow overnight, it’s almost melted already. And I have the whole day to sew! 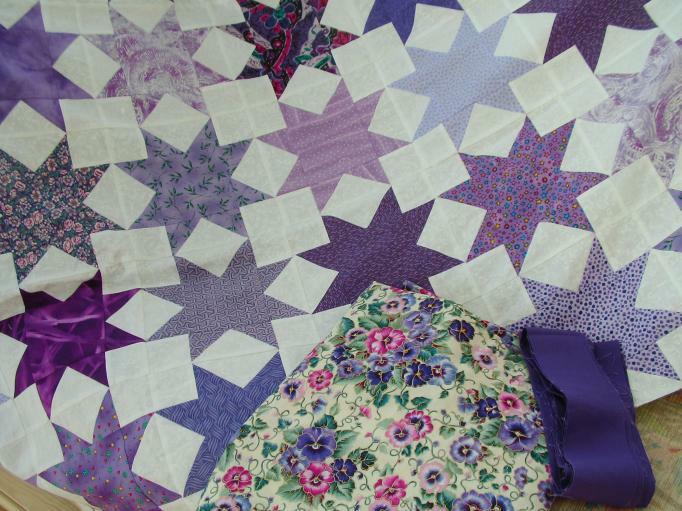 First up, I’m going to work on this purple Sawtooth Star quilt which has been in my UFO cupboard for a while. It’s going to be a present for my good friend MJ, who had an accident and broke her leg. Poor dear, she was shoveling snow on her driveway and slipped on black ice hidden underneath new snow. The pansy floral is the backing fabric, and the dark strips are the binding. MJ loves purple. This quilt top is also one of the UFOs listed on my Stashbuster UFO Challenge, so when I finish it, I will get to report the finish! Then I need to get busy on my Stash Project from Judy Laquidara before the next set of instructions is posted. I only have four sets cut out so far, and I do want to be surprised when the next step is announced. 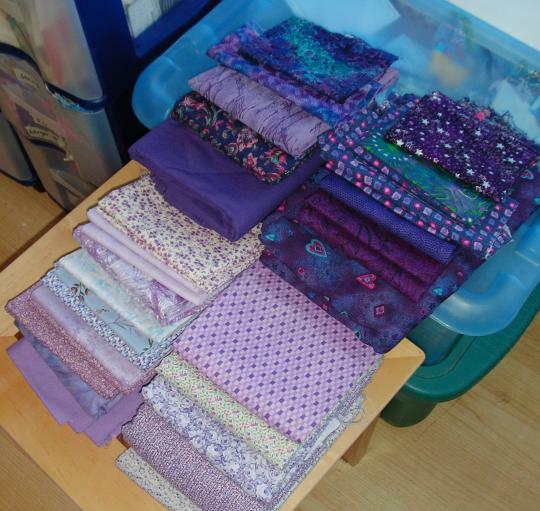 I really love mystery quilts! More purple. I love purple, too. And then — the project I have been breathlessly anticipating all week: Step 3 of the Bears in the Farmhouse Quilt-Along, also from Judy L. I cannot wait to see what this step looks like all assembled! 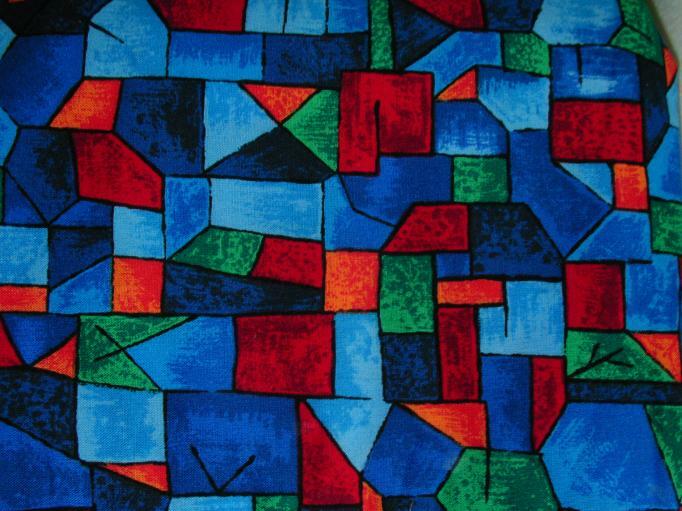 🙂 I’ve been aching to cut into my focus fabric. Thank you so much for the lovely comments and compliments. You are very kind!